Review: In ‘Where You Go Is Not Who You’ll Be,’ Frank Bruni Examines College Admissions Mania - The New York Times: "As valuable as this book should be for anyone who takes it to heart, it’s important to remember that its focus on very selective colleges — and on the students who aim to attend them — pertains to only a tiny segment of our society. Such colleges will enroll perhaps 100,000 of the roughly three-and-a-quarter million students finishing high school this spring — in other words about 3 percent. And even most private colleges, because they depend on tuition revenue to serve their students, are less worried about how few applicants they can admit than about how many of those admitted will enroll. Unfortunately, our less heralded institutions — from small private colleges to large public community colleges — along with the millions of students they serve, are unlikely to be the subject of a comparably impassioned book." Campus Suicide and the Pressure of Perfection - The New York Times: "Kathryn DeWitt conquered high school like a gold-medal decathlete. She ran track, represented her school at a statewide girls’ leadership program and took eight Advanced Placement tests, including one for which she independently prepared, forgoing the class. Expectations were high. Every day at 5 p.m. test scores and updated grades were posted online. Her mother would be the first to comment should her grade go down. “I would get home from track and she would say, ‘I see your grade dropped.’ I would say, ‘Mom, I think it’s a mistake.’ And she would say, ‘That’s what I thought.’ ” (The reason turned out to be typing errors. Ms. DeWitt graduated with straight A’s.)" Elizabeth sometimes doesn’t seem like a child. She’s more like a mini-executive, balancing a packed schedule and the weight of expectation placed on her by the school, her high-flying peers and, increasingly, by herself. I am absolutely certain that she will go on to do great things. I just hope that, among the many talents she is mastering, she learns how to slow down and enjoy being a kid. A predominantly processed-food diet at the age of three is directly associated with a lower IQ at the age of eight and a half, according to a Bristol-based study of thousands of British children. Mikael Thalen | Cameras to record "student movement" as well as "parent and student interactions"
Melissa Techman recaps the highlights from ISTE 2015, much of the value, as in past events, coming from conversation and social media. Maker was front and center at the 2015 ISTE conference—and that was a good thing for Jennifer Hanson, director of library services at Worcester (MA) Academy, who is planning a maker space at her school. Edutopia blogger Andrew Marcinek gives us a personal perspective on how the Edcamp model changed his professional focus, and provides examples of how he's adapted this model for staff, students and community. 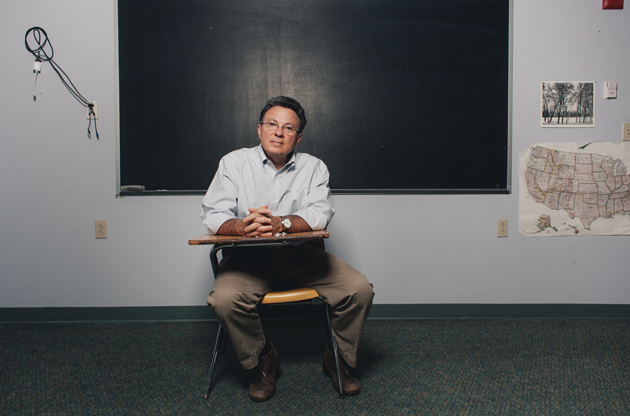 Teacher Tom: The Jobs Of Tomorrow: "The idea of efficiency in education is an absurdity. The core idea is that if we subject children of the same age to the same information in the same manner at the same time, and if we are sufficiently rigorous, we will produce the kinds of workers they imagine they'll want two decades from now. It's all based on a sort of sociopathic fallacy. Children are not incomplete humans; they are already fully formed just as they are. Children are not primarily on this planet to fill job vacancies; they are here to create the future. Children cannot be standardized; each of them is a unique and wonderful person on a unique and wonderful journey. And anyone who claims to know anything about those "jobs of tomorrow" is blowing smoke; by the time our children assume their adult roles, those guys will be in nursing homes baffled by a world that has passed them by." I usually have a handful of hints I look for when anyone calls themselves activists / thought leaders / experts in education, but the one that always sticks out revolves the kids. How they speak of the children matters more than any other factor. It’s not the awards, the qualifications, the degrees, the conference keynotes, the years spent in the classroom (to a certain extent), or even political leanings. It’s about how they speak of the young people they serve. Do they talk only about a couple of students or do they speak about all of their students warmly? Do they not speak of students at all or speak about them in absolute hypotheticals? Are they interested in how their children live or is the allotted time period enough? Are they ever hard on themselves, or at least reflective about the faults they embody as teachers? Do the students reflect love to these adults back?